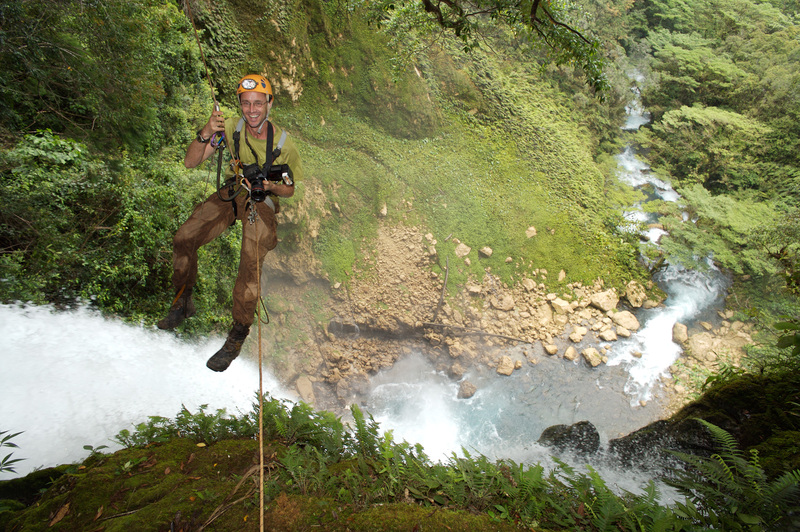 An on assignment photo of photographer Stephen Alvarez hanging over Ora waterfall. Shot by Matt Oliphant.An on assignment photo of photographer Stephen Alvarez hanging over Ora waterfall. Shot by Matt Oliphant.